Snuggled by waters on three sides and dotted with mountain range of eastern and Western Ghats, South India is one of the best places for holiday in India. The favored holiday destinations in South India is blessed with amazing natural beauty, incredible architecture, colorful culture, historic sites, adventure and many more blessings. As amazing as rest of India, the Southern region has a unique charisma of its own. 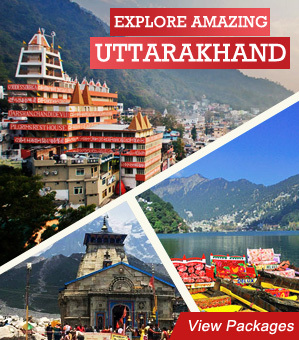 You can’t resist exploring the majestic temples, grand forts, ethereal churches and the many UNESCO World Heritage Sites. The scenic bliss comes from the lush hills, golden beaches, soothing backwaters, plantations of tea, spices, coffee, etc. Ayurveda retreats, adventure sports, wildlife safaris and many more excitements await. Though there is a lot to talk about, let’s have a look at the most fascinating 20 holiday destinations in South India. Let’s just have a look! The quintessential Southern India city, Chennai is one of the best places to start a South India tour. This metropolis along the Bay of Bengal matches paces with the fast developing world yet very much still preserves its traditions. Check out the Kapaleeshwar Temple, Thousand Lights Mosque, San Thome, Ripon Building, Church of Our Lady of Light, Thyagaraja Temple, Marina Beach, Elliott beach, etc. The top tourist attraction of South India is a good base for exploring the rest of the region. 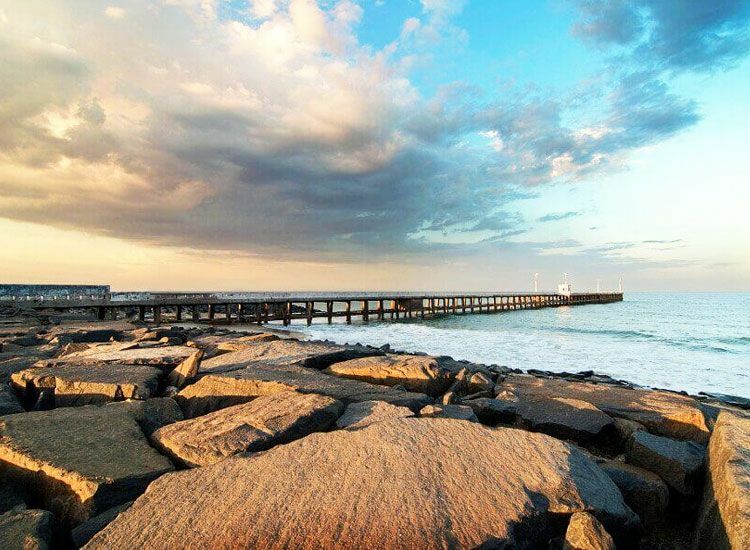 Plan day trips, enjoy dining, shopping and other experiences. 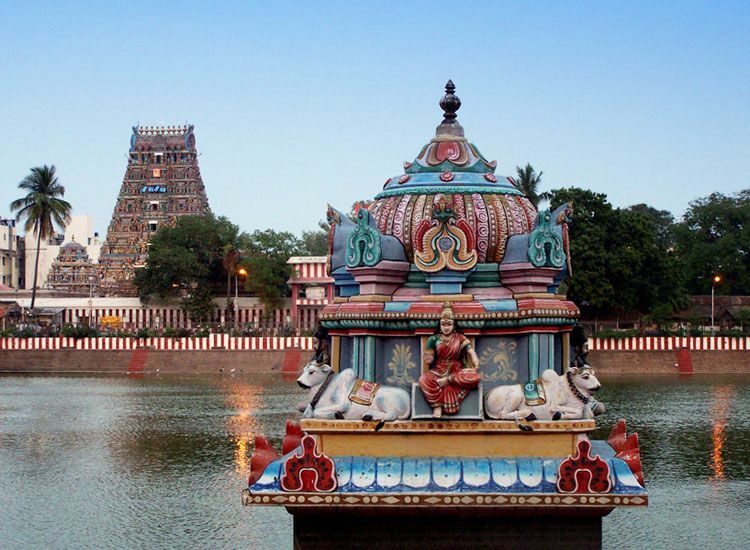 Madurai is correctly acclaimed as top holiday destinations of South India. One of the oldest cities in India, it is also known by the name of “City of Temples’ and has the top temples in South India. 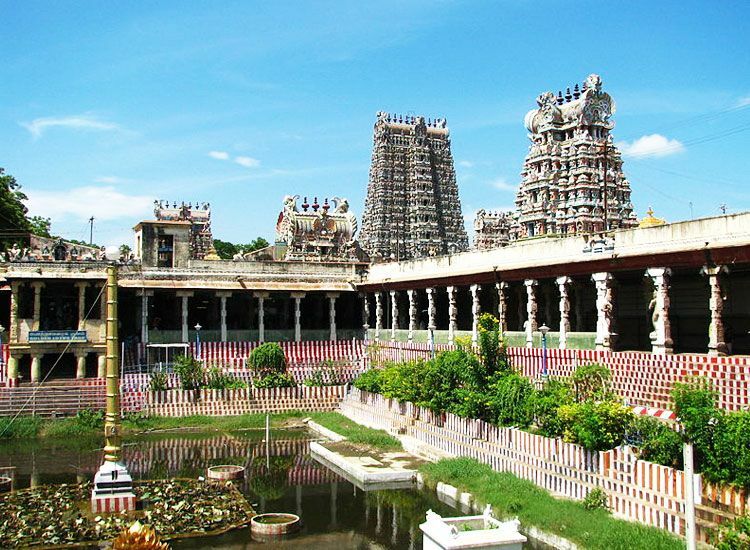 The magnificent Meenakshi Amman Temple is the most prized attraction here. Not just the architecture and the colorful carvings, the spiritual ambiance fascinates you. Festivals in the town are truly out of the world. For all Idli lovers, Madurai is the place to be at. Thirupparankundram Murugan Temple, Thirumalai Nayak Mahal, Koodal Azhagar Temple, Pazhamudhir Solai, Tirupparankundram, etc. are other places to check out. A part of the Char Dham pilgrimage, Rameshwaram attracts Hindu devotees from all over the world. The island at the tip of Tamil Nadu is home to one of the 12 Jyotirlingas of Lord Shiva in India, the holy Ramanathswamy Swamy temple. The holy town is among the famous places to visit in South India. It marks the initiation of mythical story of Lord Rama’s journey to save Lady Sita from Asura King Ravana. A bridge ‘Rama Setu’ of floating stones was built to reach Lanka and there are traces found here. Visit the holy spots, feel blessed when you perform the rituals. 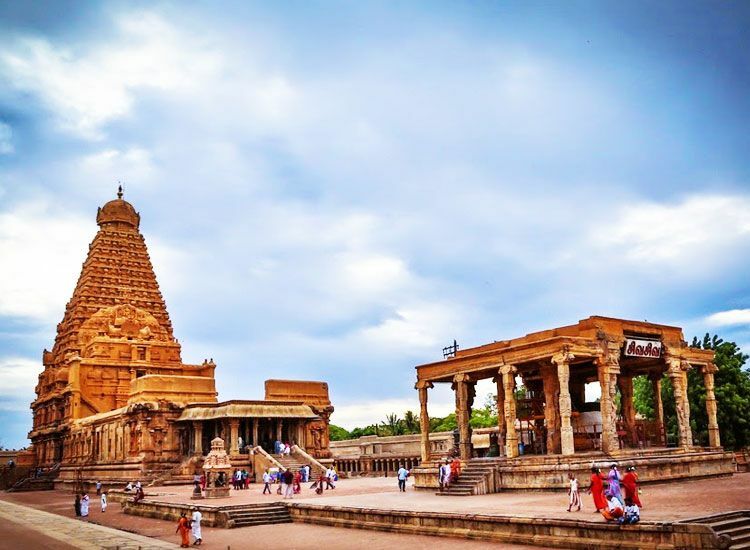 The holy pilgrimage center, Thanjavur is amongst the top tourist attractions of South India. This city is dotted with peaceful places and splendid temples. Take a tour to local markets and bargain for Tanjore paintings, handloom silk sarees and cotton sarees. 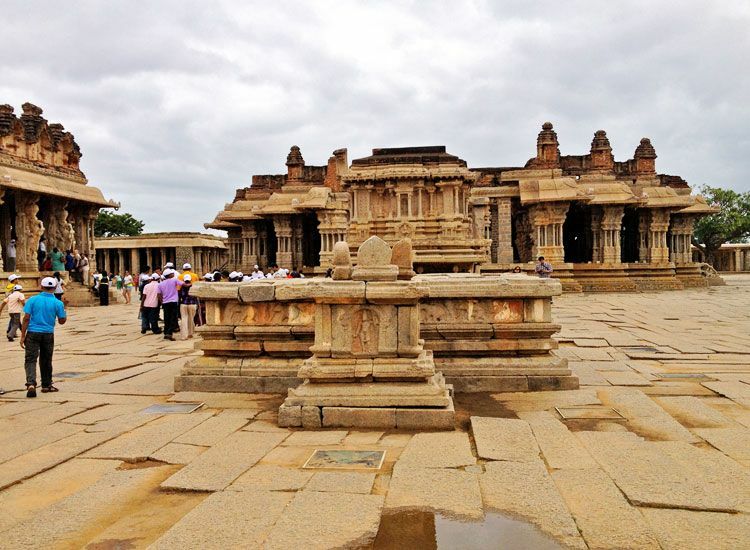 The UNESCO World Heritage Site, Brihadeeshwara Temple is the prized lure. A part of the Great Living Chola Temples, it is a magnificent piece. The architecture, layout, carvings and its very opulence fascinates you. The temple is iconic landmark of the city and adds to its worth among tourists visiting. 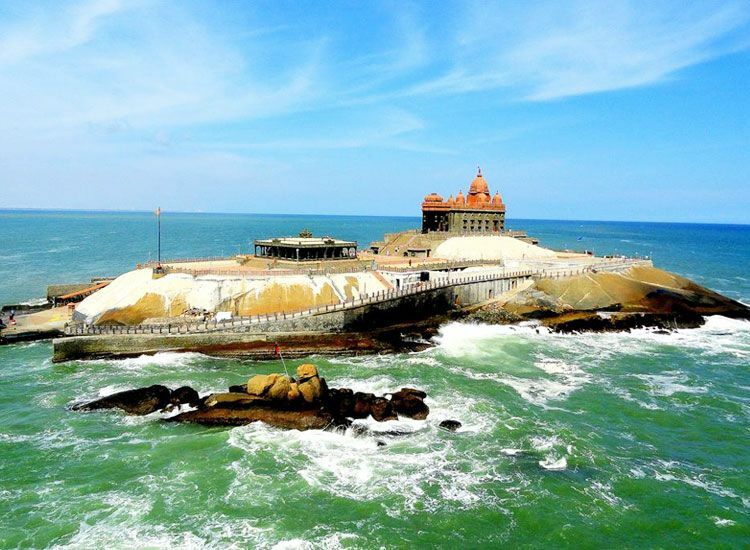 Kanyakumari, also known as Cape Comorin is the southernmost tip of peninsular India. The town inherits its name from Dev Kanya Kumari Temple. One of the famous places to visit in South India, this city has also served as a hub of religion and art for centuries. Snuggled from waters of Indian Ocean, Arabian Sea and the Bay of Bengal, its bliss for nature lovers as holy devotees. Kanyakumari Devi is one of the ‘Shakti Peethas’ out of the 51. Vivekanand Rock Memorial, Lighthouse, Thiruvenilli Statue, churches, food are some few other delights that you must cover. If you want to experience the epitome of South India’s splendor then you are right in coming to Mahabalipuram. Snuggled on the Coromandel Coast along the Bay of Bengal, this historic city was once the pride of the Pallavas. 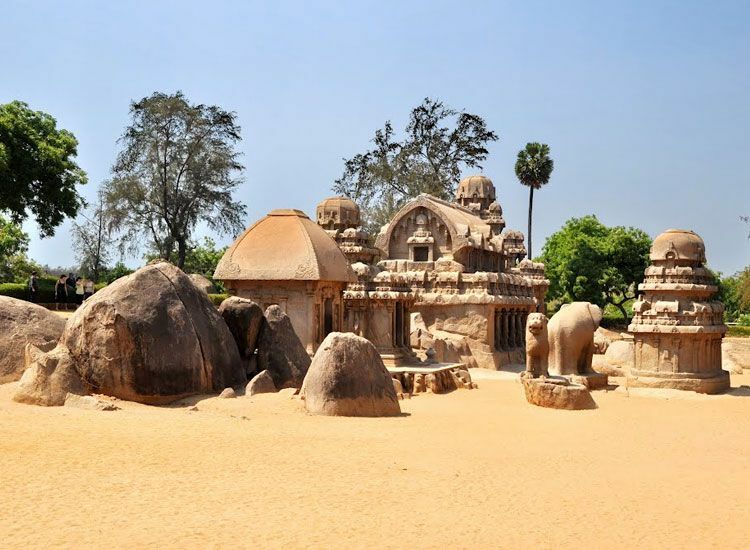 Their incredible days still remain intact in the UNESCO World Heritage Site of the Group of Monuments of Mahabalipuram. One of the places to definitely visit in attraction of South India not just for its heritage but a getaway from cities, basking in the sun and surfing. Do attend the mesmeric Mamallapuram dance festival held annually in February. 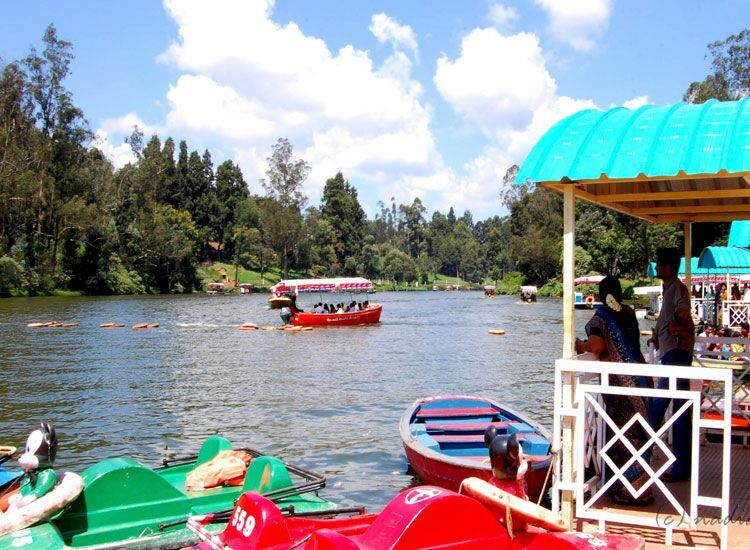 Dotted with pine and Eucalyptus trees, Ooty is a heaven in South India. The hotspot for the tea and coffee lovers, it is blessed with scenic beauty, adventure and pleasant vacations. One can gain insights about the tea and coffee plantation as this city marvels in this field. 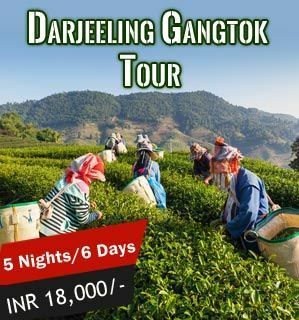 Fascinating with its mountains, flora and fauna, lakes, waterfalls and not to forget the UNESCO listed Nilgiri Toy Train, a vacation here is one full of cherished experiences. The much loved hill station is among the favored summer holiday destinations in South India. It lures nature lovers, honeymoon couples as well as adventure seekers. Go trekking, boating or simple relax. Once in Pondicherry, you will feel a strong resemblance to France. The erstwhile French Colony is one of the best holiday destinations in South India. Sip some of the finest wines and delectable delights at the cafes. Go cycling around the town spotting some interesting colonial structures. 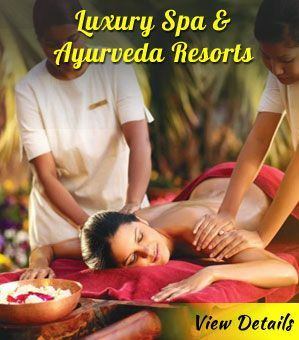 Unwind at the beach or set on abode of sheer enlightenment at Auroville. Spiritual bliss awaits at the Aurobindo Ashram. Scuba divers from all over the world undoubtedly prefer Pondicherry when it comes to ultimate scuba diving experience. A sunset walk on the boulevard is amazing. Pondicherry is one of the most loved weekend getaways in South India. Holding glorious architecture, momentous history and a surprise at every turn, Hampi is counted as a UNESCO World Heritage Site. Alluring traders from Persia and Portugal, it was once India’s richest city. The masterpiece of the Vijayanagara Empire, the city is settled on the banks of River Tungabhadra. Though time has ravaged its beauty, it charm is still intact. 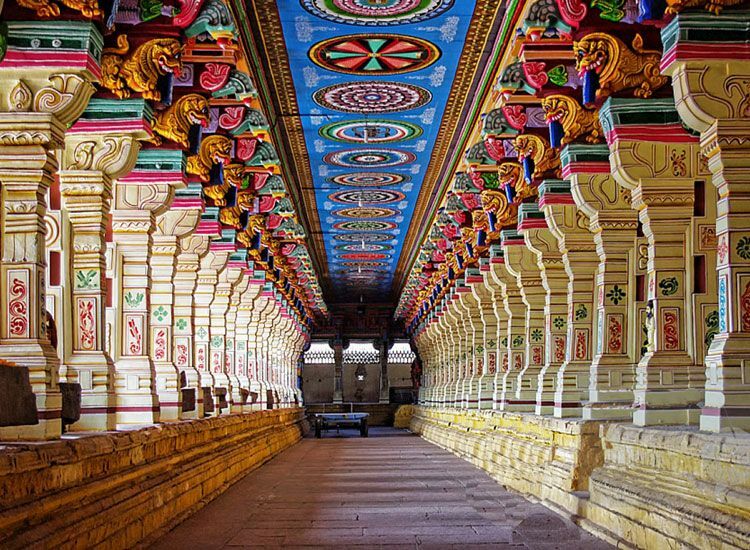 Embark on a religious pilgrimage and take a close look at the Virupaksha Temple. This ancient city is nothing less than a privilege for all the history enthusiasts. Taking a boat ride in Dongi will offer you an outstanding experience. Pleasing to eyes and soothing to mind – this is the charisma of Mysore. The capital of the Wodeyar dynasty, this city is historic and royal. It is listed among the must visit places in South India. 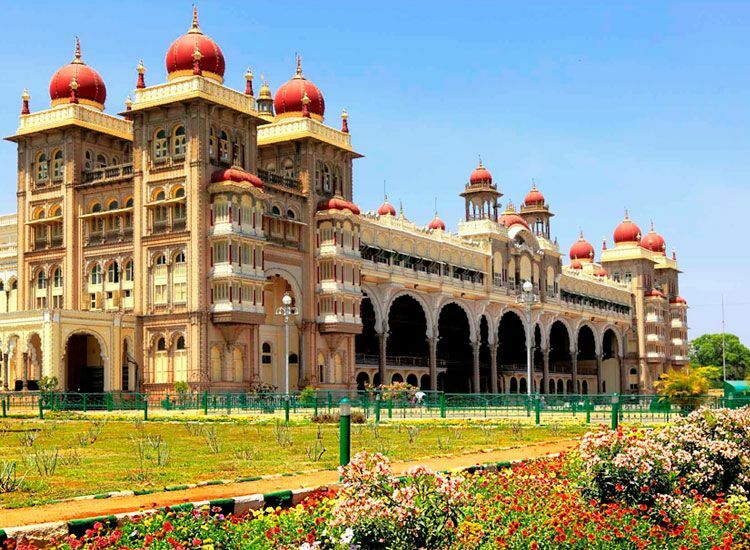 To take a look into the bygone era, you are welcome at the splendid Mysore Palace. For showing devotion, Chamundi Hills are the place to be. Karanji Lake is for recreational activities and Brindavan Gardens entertains you with musical fountain show. All in all, Mysore has something for everyone. Shopping is a thrilling pursuit here, where you can serve for Silk saares, sandalwood, handicrafts, etc. A quick getaway from Bangalore, it offers a weekend break as well as a pleasant vacation. 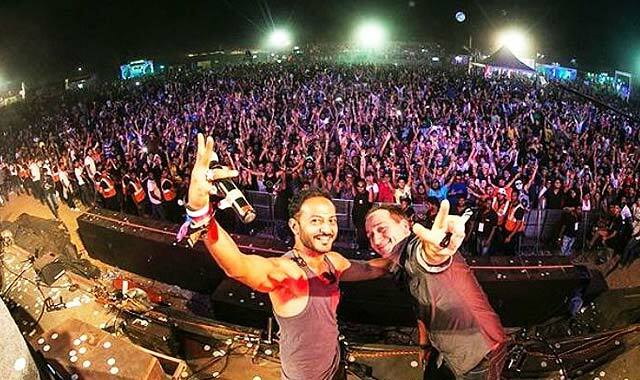 How about honeymooning in Scotland of India? 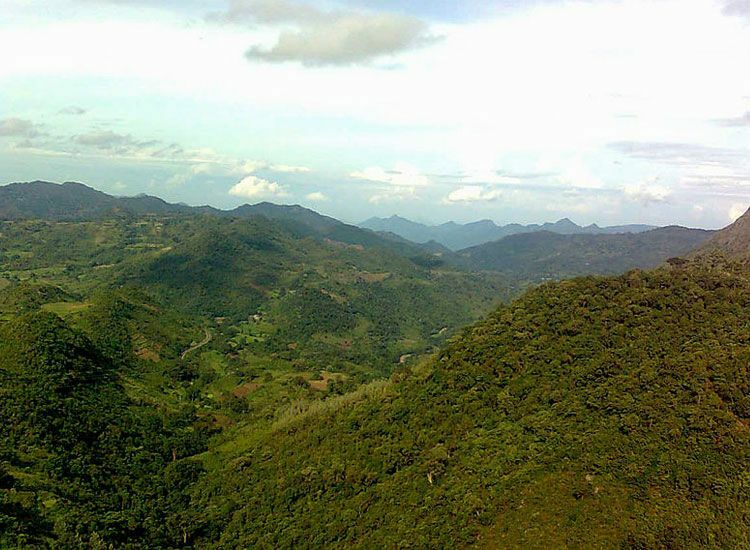 Coorg is a popular tourist destination of South India. This small and serene town pampers you with Numero Uno coffee. Comprising of immaculate waterfalls, flawless natural beauty and an emerald green flora, a trip to this city will add charm to your honeymoon. 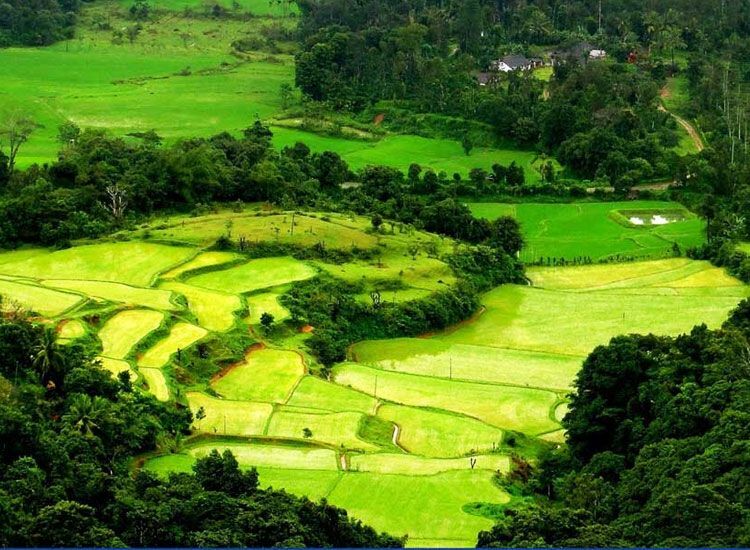 Nature is surely witnessed at its best in Coorg. Draped in mists, the spectacular beauty of the hill town deserves a visit! From complete solitude to an exciting safari, South India has plenty of famous tourist destinations which attract everyone. 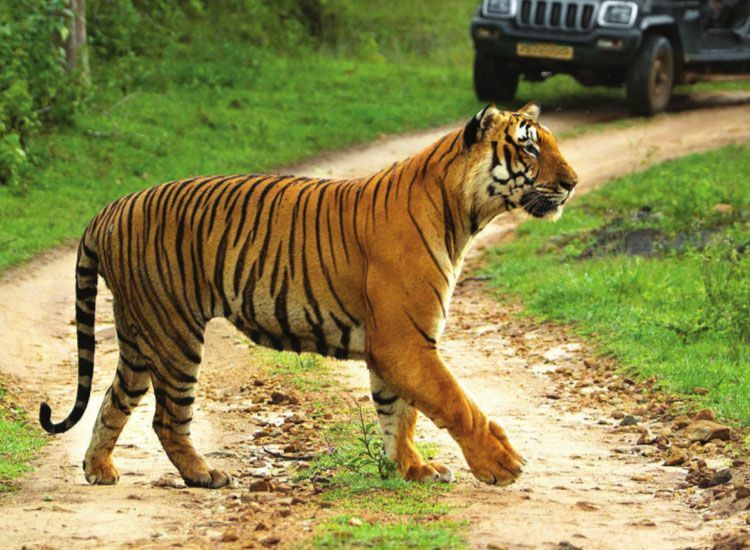 Bandipur National Park is one such place which draws tourists from far and near. Once a private hunting reserve for the Royals of Mysore, it has now been transformed into a tiger reserve. This first biosphere reserve of the country contains a great amount of sandalwood and teak trees, along with lovely flora and fauna. Explore this beautiful park by choosing a bus safari. Don’t forget to take your kids for an Elephant Ride! Nature has bestowed Vizag with tranquil hill tops, undisturbed beaches and quaint valleys. Beauty resides in Visakhapatnam in its pure form and thus attracts many. It is one of the top tourist attractions of South India and is known as the ‘Goa of East Coast’. Araku Valley, a lovely hill station, should be visited for its beautiful coffee plantations. You can visit this city for ancient shipyards, manmade wonders and natural beauty. To spend more time, one can also explore the immense cultural past of the City of Destiny.Explore Vizag with these customized tour packages. Can you smell the aroma of Biryani? Can you spot those four high turrets of Charminar? If yes, then you are welcome to Hyderabad. ‘Ama Miyan!’ You’ll experience some of the most memorable and entertaining Hindi conversations here. 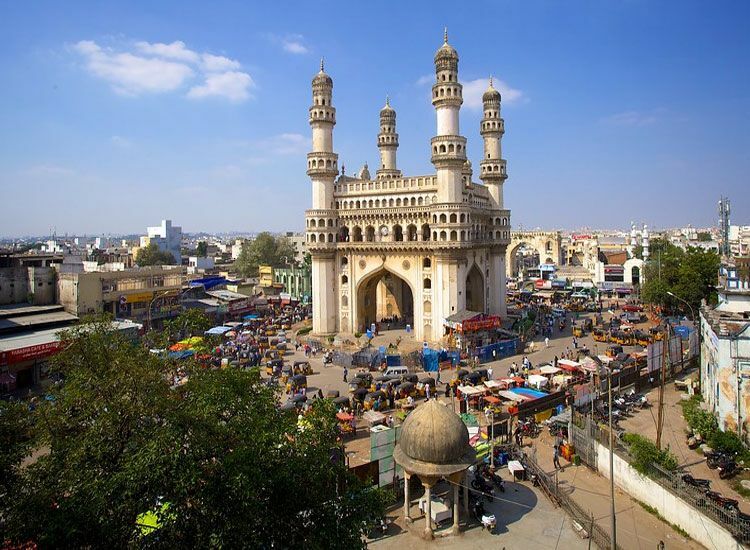 Hyderabad city is a confluence of Muslim, Hindu, Telangana and Andhra cultures. This ‘Pearl City’ has a lot to offer. One can easily find well maintained parks, beautiful lakes, heritage monuments, rejuvenating resorts and so on. Being the largest hill stations of Kerala, Idukki is one of the top tourists attractions of South India. This lovely hill station houses unexplored wildlife and scenic beauty. This region is basically known for power generation. 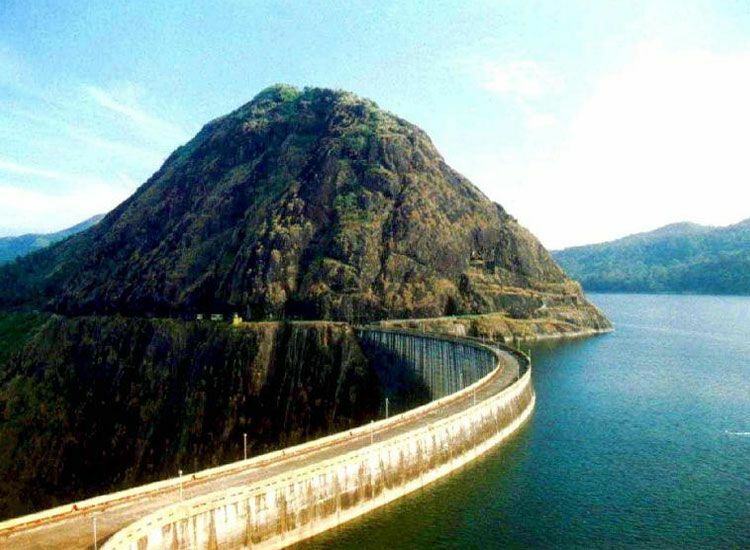 It houses a hydroelectric power plant as well as the largest dam of the country. One runs short of words to describe the incredible ‘The arch dam’. 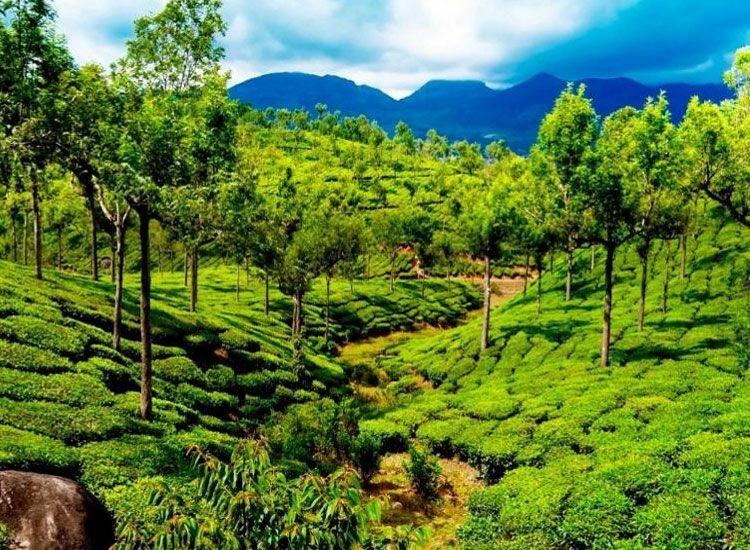 Idukki is also a favored destination for its tea plantations, spice production and rubber cultivation. Call it Alappuzha, Alleppey or ‘The Venice of the East’, it all refers to this majestic place of the South. Alappuzha is ornamented with canals that upkeep its flourishing backwater tourism. People often visit this city for a houseboat expedition along the backwaters. 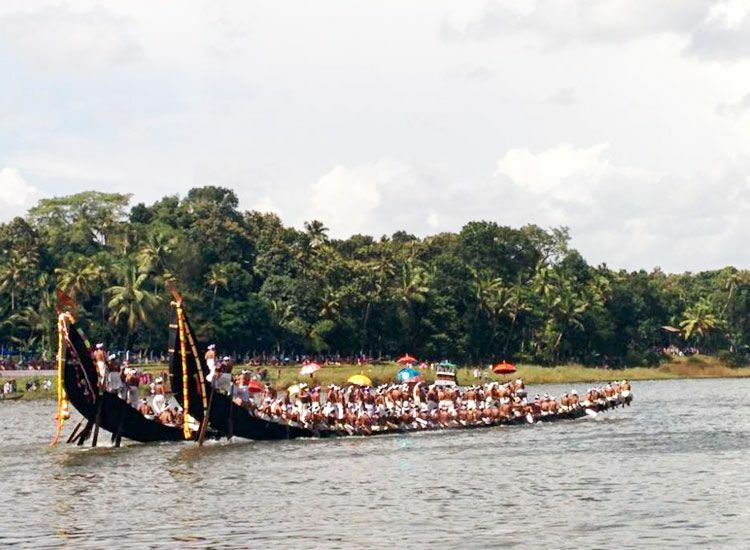 Snake Boat Races are held every second Saturday of August that draw people in large numbers. A visit to this place will make you feel like spending the rest of your life here. Kumarakom is amongst the famous tourist spots of South India. its among the best backwater destinations in Kerala and also the country. It is like a dreamland consisting of constellation of islands in the milieu of Vembanad Lake. Considered as a masterpiece of nature, it has all the elements to enthrall the tourists. An ultimate intermingling of Kerala’s unspoiled scenic beauty, cultural legacy and amicable natives, this village will spoil you for good. It also offers delicious cuisines. 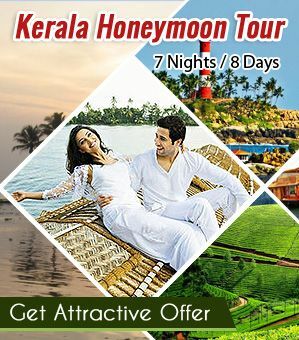 Explore holiday packages for Kumarakom. Engulfed in various hues of green, Munnar is one of the most beautiful hill stations in the southern part of the country. It always ranks at number one position of favored destinations among honeymooners. Munnar is so magical that you will feel like visiting here often. Besides having plenty of tea plantations, Munnar is also blessed with Neelakurinji Flower. This esteemed flower blooms only once in every 12 years. Feel privileged to take a panoramic view by standing at the Anamudi peak which is the highest peak of South India. A 2000-year-old Vishnu Temple, a stunning beach, and the Sivagiri Mutt are the vital landmarks of the Varkala. This serene village situated on the peripheries of Thiruvananthapuram, a top tourist destination in Kerala is one of the best beach destinations in South India. It also finds itself in the headlines for its world class Ayurvedic Massage Centre. 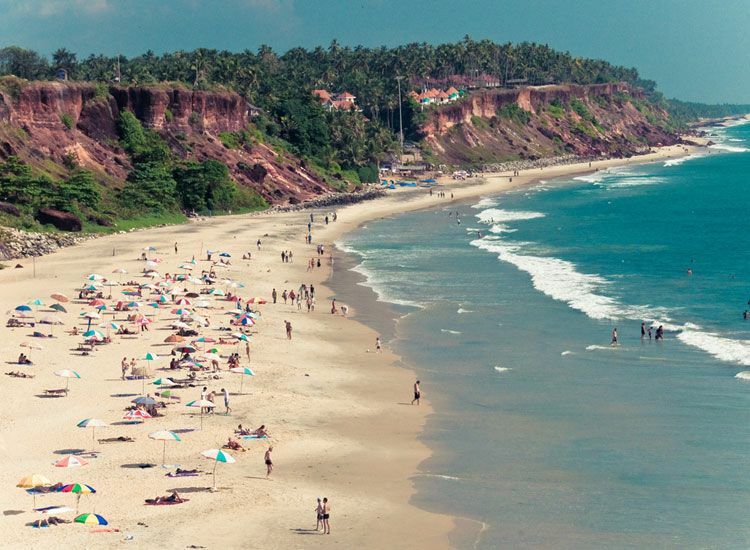 Varkala Beach offers numerous activities. However, it is at its most beautiful during sunset, sunset time to portray a picturesque view. Spending holidays at Varkala proves to be an experience of a lifetime. Kovalam means a grove of coconut trees. Hence, you may observe an infinite view of coconut trees. The globally distinguished beach with three in line arced beaches is one of the ,most romantic beach destinations in India. This city is so magnificent that it is truly called as the ‘Paradise of South’. It is an ideal spot for a perfect family getaway or an incredible honeymoon. After your visit, you will keep recommending this place to each and every one heading towards South for a holiday. 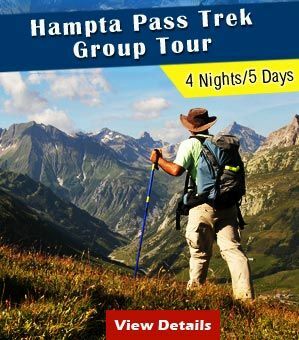 So now, since you are aware about the most fascinating holiday destinations of the South, choose a starting point and start exploring them one by one. 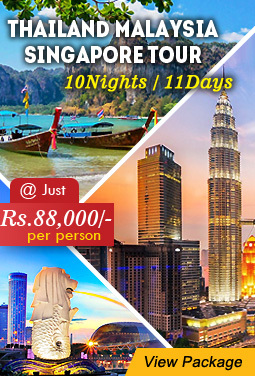 Well- planned south India tour packages helps you with a perfect vacation. Travel is something, which would bring balance in life and these places are truly beautiful. There is galore of beautiful places to be explored. Keep following our blogs to know about them. Travelling isn’t always about running away from things, sometimes its about running in to what you truly want. Thank you diksha khiatani, For sharing your knowledge about southindia. 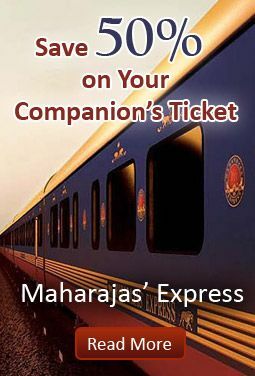 A very helpful post to plan vacation in southindia. Thanks for appreciating! Very well said that “Traveling is about running into what you truly want”. Keep following our blogs to know more about different destinations.